Lansing personal injury attorney Bryan Waldman has been recognized as the “Michigan Cyclist of the Year” by Programs to Educate All Cyclists (PEAC). The award is presented to the individual who has made the most significant contribution to cycling in the State of Michigan throughout the year. PEAC is a non-profit organization that empowers those with disabilities through cycling, active transportation and self-advocacy education. Bryan received the award for his tireless efforts as a Lansing personal injury lawyer representing cyclists hurt in accidents. The award also recognized Bryan’s longstanding fight for cyclists’ rights, and his legislative efforts to make Michigan roads safer for all cyclists. 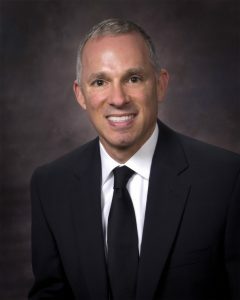 As a Lansing personal injury attorney, Bryan is a member of the Michigan Association for Justice (MAJ) and served as MAJ president from 2003-2004. He is also a member of the Coalition Protecting Auto No-Fault (CPAN), the Ingham County Bar Association, the American Association for Justice, the American Constitutional Society and the American Civil Liberties Union. In addition, Bryan is an adjunct professor at Michigan State University College of Law, where he teaches a course on auto no-fault law. Congratulations, Bryan, on a well-deserved honor!